A big thank you again too all those parents, carers (and staff) who donated so generously to the last Foodbank donation drive we held for toiletries. Miss Jones was able to visit the Foodbank this week with Year 4 and 5 pupils to hand over the eight large bags of donations we had accrued. 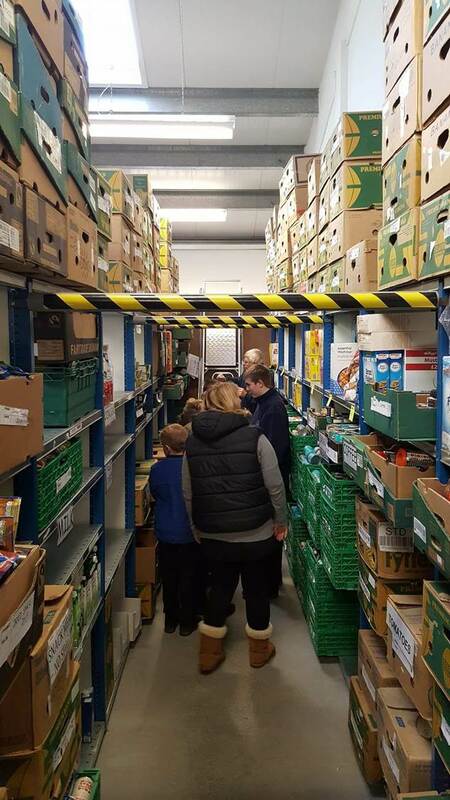 The boys thoroughly enjoyed their visit and were even stacking shelves and helping the volunteers to put away items in the right place. Finlay asked the question – “How old do you have to be to work here?” and he was told everyone has to be 18, but they are unpaid volunteers. Finlay also learnt that food, such as fruit, has to be in tins or packets so that it doesn’t rot and go off before it gets handed out to people. Keep your eyes peeled, we may do another run before the summer holidays! As always, we thank you for your continued support.